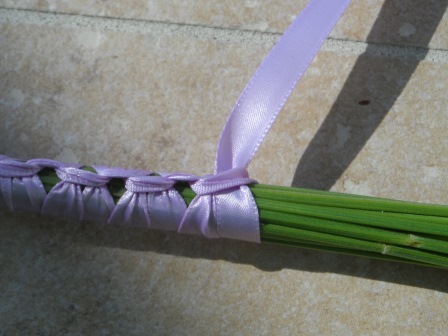 Your lavenders wands and the wreath are so lovely. 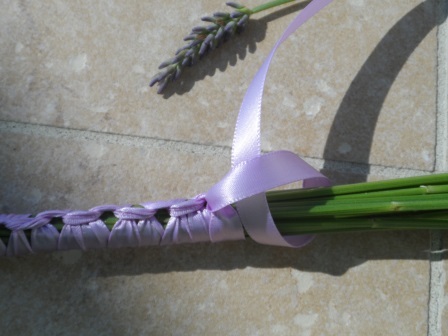 As you say, it must be wonderful working with the lavender. Thank you Karen, I’m really happy with how they all turned out. What a bonus with how relaxing the smell of lavender is while I work with it! 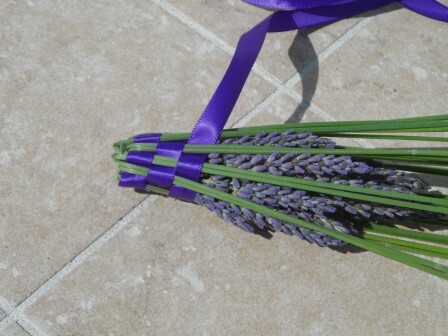 Thank you for your insipiring ideas about lavender. 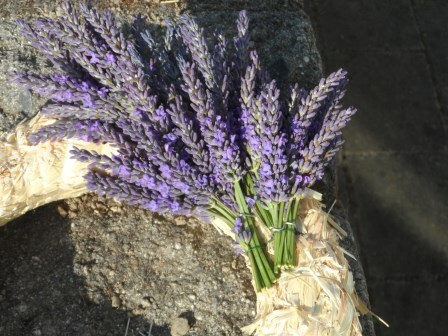 I have some lavender in my (very small) garden and every year I enjoy its scent but don’t really harvest it. It produces flowers but they are not as full as yours. 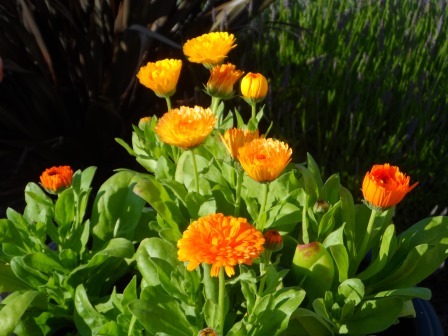 What do you do to enhance the flowering of your plants, if anything? Hi Eileen! 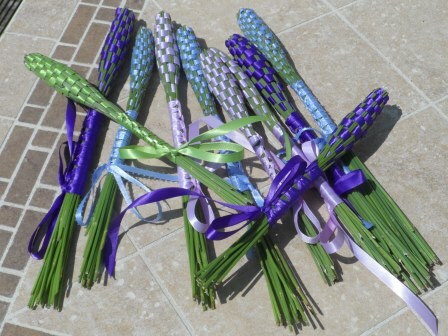 Friends from home actually gave me the idea of the lavender wands! I’ve read that trimming it down will help keep it full the next season. 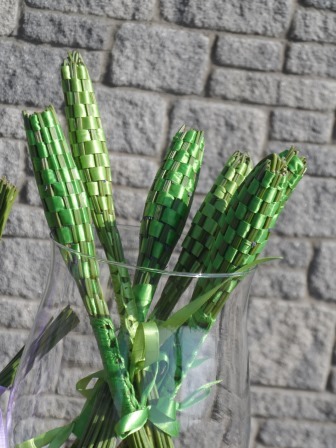 I cut mine to just above the leaves, or new shoots – or if not so low I at least cut 2/3 of the stems off. There are so many different varieties, too, that maybe your variety doesn’t get as full. I hope that helps! Wow this is great. 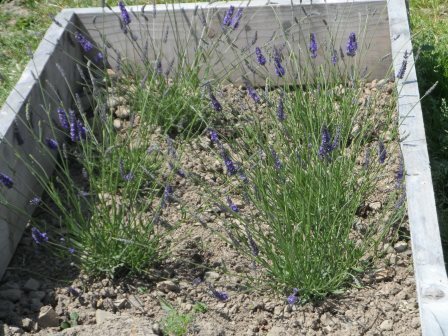 I love lavender, but I have a hard time growing it where I am at.I have some started this year and will take them in this winter and see if I can keep them going. Hi NomadNurpu, thank you for your compliment! 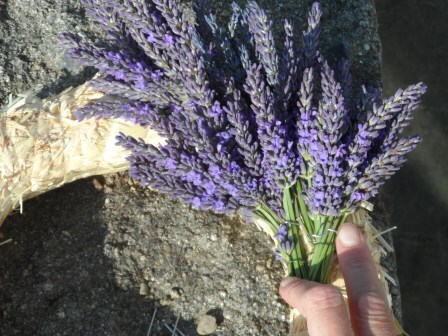 Good luck with nurturing your lavender this winter. I won’t mention that maybe I’ve been a bit lucky with mine, for fear of jinxing it! It is lovely to have though. 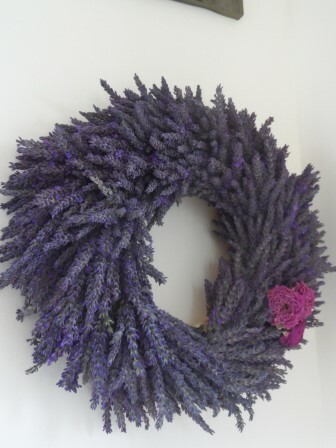 LOVe the lavender wreath!!! Beautiful!! You should sell them! 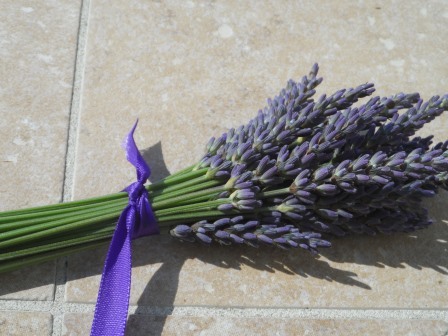 Lavender is one plant that I don’t have but wish I did, I love it and the scent! Hi Stephanie, I would love to sell wreaths! Baby steps here my friend 😉 I should really cut the rest of the lavender now to dry it, but I want to enjoy the pretty purple blooms a bit longer! 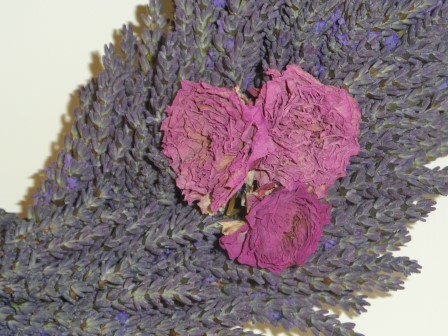 I wish I could trade you some of my lavender for some of your peony plants! 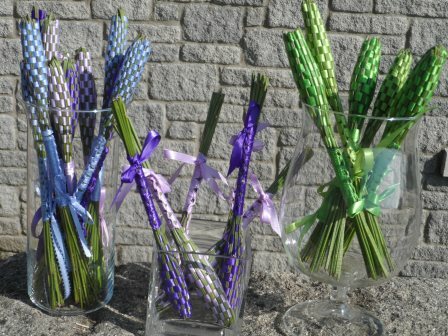 Wow, what a great way to enjoy lavender. Thank you patinaandcompany! I think it is nice way to use something that is so lovely. That wreath is so lovely. 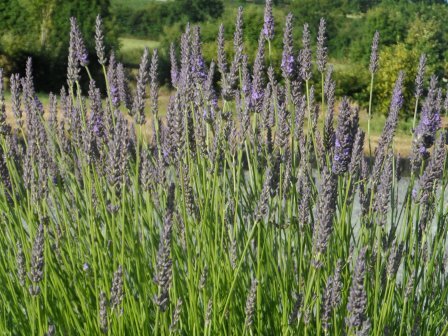 Lavender is one of the plants I want to have in our garden next year. Maybe I will have enough for a beautiful wreath too. The little wands are sweet too. Ideal if you have lesser amounts of lavender. Thank you Bridget, I was quite pleased with the wreath (said humbly!). 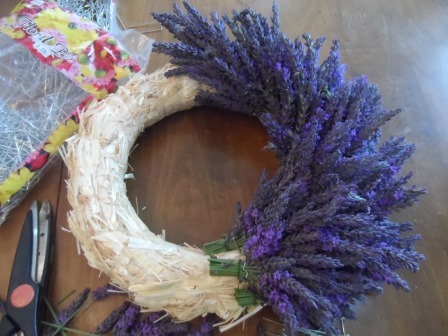 Since making it, I’ve been searching for different ways to make lavender wreaths (turns out I still have quite a lot left!). 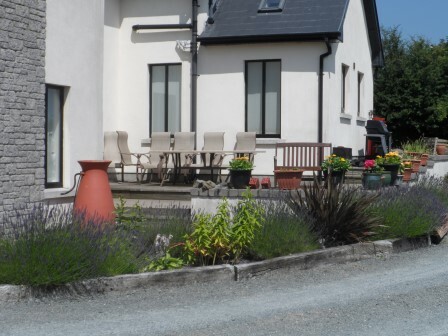 I need to grow more dry-able plants in my garden! It’s such a pleasure to “meet” blog readers. 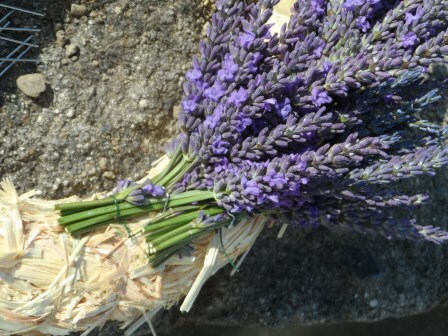 Your lavender wreath is beautiful! 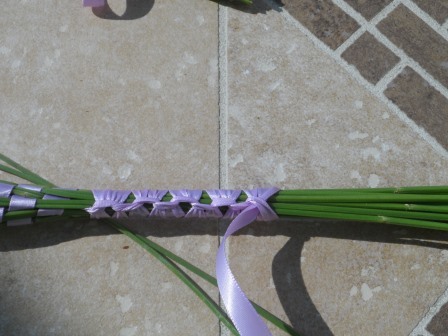 And I’m glad you enjoyed making the lavender wands. Hi! Your wands and wreath are beautiful!! 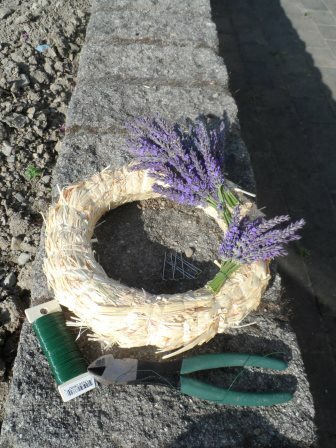 I am a wreath maker, but have never tried a lavander wreath. I just recently have had a request for one. I am going to attempt. But since it’s not something you see a lot of in my area I have to order it. 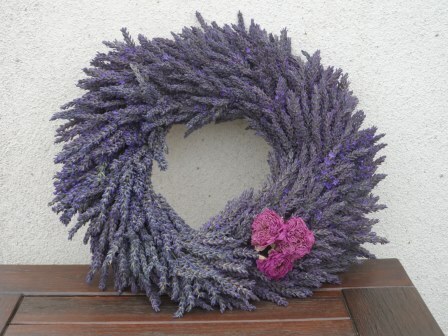 Any idea as to how much lavander I would need to make a wreath? It would be roughly the size you made as I would be using a wreath form from michaels or hobby lobby. Thank you! Hi Christine, Thanks for the compliments! I took my 10 inch wreath down to try and figure out an answer to your question (it is a tough one!). I used pins to attach, and had small clusters of about 10 to 12 stems. Those flowers were about 2 & 1/2 inches in length (the green stem would be another 2 to 3 inches long and that is what I pinned to the wreath). I am counting roughly 10 waves of flowers creating the circle, with at least 4 groups across. This is very rough counting! It takes a lot of lavender. 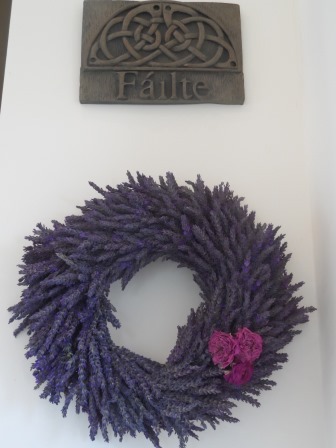 I would recommend using Spanish moss or some kind of filler to go along with the lavender (I didn’t have any at the time, so it took more lavender to cover the straw wreath). 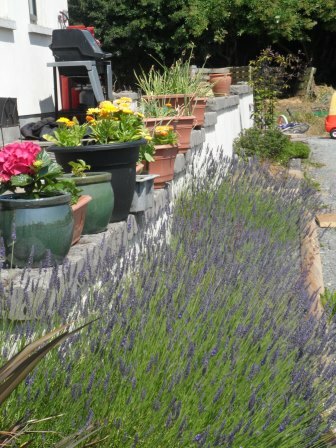 I will definitely measure out the lavender that I use next year. I hope this is helpful (at least somewhat!). Good luck! 😉 I’d love to know how it goes for you!